Tip 1: How to deal with the Tax Cuts and Jobs Act—The new tax law for both individuals and businesses is among the topics to be discussed during the Income Tax School workshop series offered throughout November and December by the College of Food, Agricultural, and Environmental Sciences (CFAES) at The Ohio State University. The annual series helps tax preparers learn about federal tax law changes and updates for this year, as well as issues they may encounter when filing individual and small business 2018 tax returns, said Barry Ward, director of the Income Tax School program. 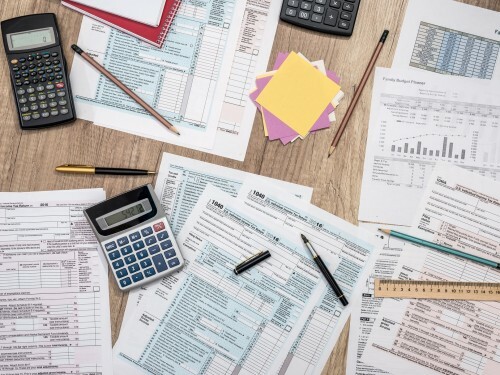 The tax schools are intermediate-level courses that focus on interpreting tax regulations and changes in tax laws to help tax preparers, accountants, financial planners and attorneys advise their clients, he said. The schools offer continuing education credit for accountants, attorneys, annual filing season preparers and certified financial planners. Registration information can be found at go.osu.edu/taxschools. For more information, contact Ward at 614-688-3959 or ward.8@osu.edu. Tip 2: Sloth Yoga: The Human Animal Interactions Club in CFAES is hosting Sloth Yoga in observance of National Sloth Day. The event, which will feature sloths from the Columbus Zoo and Aquarium, is Oct. 25 from 6:30 to 7:30 p.m. at the Agricultural Administration Building auditorium, 2120 Fyffe Rd., on the Columbus campus of Ohio State. Tickets are $20 at the door, and $10 for students. Proceeds from the event will go towards sloth conservation. For more information, contact Amber Robinson, communications and academic program manager, Department of Animal Sciences, at 614-688-1083 or by email at robinson.1956@osu.edu. 15 Environmental Film Series: “Rancher, Farmer, Fisherman,” 7-8:45 p.m., Chemical and Biomolecular Engineering and Chemistry Building, Room 130, Ohio State. Free admission. Free pizza and beverages at 6:30 p.m. Panel discussion afterward. Details: go.osu.edu/CbDX. 16 Environmental Professionals Network, “Healthy Planet, Healthy Patients: Hospitals Reduce Their Environmental Footprint,” 7:15-9:30 a.m. Nationwide and Ohio Farm Bureau 4-H Center, 2201 Fred Taylor Drive, Ohio State. Free for students, $10 for non-students. Details: go.osu.edu/CahN. 16 Pollinator School, “Habitat,” 4:30-6:30 p.m., Mahoning County office, OSU Extension, 490 S. Broad St., Canfield. Registration is $20 for four classes, set for Oct. 2, 9, 16 and 23; or $10 per class. Registration includes snacks, handouts and activities. Call 330-533-5538 for details. Download flier and registration form at go.osu.edu/CbCB. 17 Soil Balancing Call-in Conversation, a panel of researchers, farmers and consultants will discuss the past, future and varying definitions of soil balancing as a management practice. Details: offer.osu.edu/SB-call-in. 22 Environmental Film Series, “What Lies Upstream,” 7-8:45 p.m., Chemical and Biomolecular Engineering and Chemistry Building, Room 130, Ohio State. Free admission. Free pizza and beverages at 6:30 p.m. Panel discussion afterward. Details: go.osu.edu/CbDX. 24 Why Trees Matter Forum, 9 a.m. to 4 p.m., Miller Pavilion, Secrest Arboretum, OARDC, CFAES Wooster Campus, 1680 Madison Ave., Wooster. Registration is $65, which includes refreshments, lunch and program materials. Registration deadline is Oct. 17. Details: go.osu.edu/CbA9.